This week, we talk to Jake Roper, the host of Vsauce3, part of the popular YouTube channel. Not only does he make his living on the internet, he does so in an extremely internet-y way: making videos about video games, superhero movies, and other science in nerdy fictional worlds. If there were ever a way you might "expect" someone to be able to succeed online, this is it. So... what kind of early internet experience leads someone to a career explaining, say, what would happen if Superman punched you? Find out in this week's A/S/L. CompuServe. All of my friends had AOL (I had a number of AOL discs that I grabbed from the checkout counter at Blockbuster. I liked the discs because I could put them in my CD binder so people would think I had more music CDs than I actually did). We couldn't use AOL because my parents had a personal vendetta against AOL for not hiring my dad when he applied for a job there. Gr8drumboy@compuserve.com. I remember sitting at the computer with my dad coming up with a username. I was probably 10 years old so I still couldn't be fully trusted making decisions by myself/being on the internet without asking. We landed on Gr8drumboy because I was into drumming and I told my dad that using numbers in place of letters was really cool. Oh man, I had a TON of different away messages for different situations. More importantly, do you remember when you could have profiles on AIM? You might be able to still, but I have no idea about anything anymore. I included a quiz in there, so a lot of my away messages were directed at driving traffic to that quiz. Either that or the away message would be the IP address of whatever Counter-Strike server I was currently in. Sup, ladies. 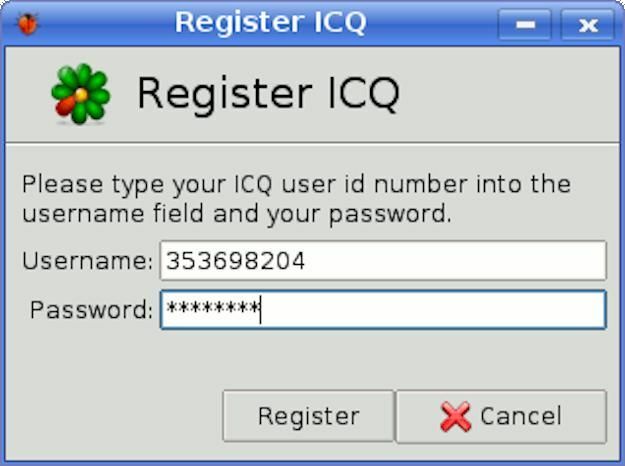 Also why doesn't ICQ get any love?? That was my first IM client. So many memories! I liked that you had to find people by their ICQ # instead of a specific name. No clue! I just remember the Top 8 being VERY important. Who you placed in there could effect your physical life. It was serious business. I never had LiveJournal but I did have Xanga. I wish I hadn't deleted that page because I can only imagine the amazing poetry I posted and the Donnie Darko photoshops I made. Plus I wrote a lot of Alien/Predator and Terminator/Matrix crossover fan fiction on that thing. Can't remember specific folks, but any artist I found on MySpace Music was a big deal in my mind. I would actively seek out their concerts and go when they were in town. Also when I would randomly land in an online match with someone well known in that specific game... that was always a big deal. I probably updated my AIM away message to alert everyone that some awesome CS player had just annihilated me. And this particular person didn't get started on the internet, but the internet is how I found them. Steve Alten wrote the MEG book series, and I LOVED those books when I was a teenager. Anything with sea monsters really intrigued me and, for some reason, he put his AIM screen name on his website so I would message him from time to time. I was learning 3D modeling at this point so I'd send him renders I made of scenes from his book. I really wanted him to hire me to work on the movie version of MEG. That obviously didn't work out. Chart the history of your life in websites, by listing the most important site to you each year you've been online. Yahoo Online Chess and Checkers for all of middle school. Not technically a website but IIRC was my jam for most of High School. MySpace for High School and Freshman year of college. Facebook until I graduated college. When I was in seventh grade, I had my first girlfriend. She was a girl I met over Yahoo Checkers. She totally destroyed me in the game, but we would still chat all the time. I wrote her name in silver sharpie on my Five Star notebook. It lasted about a week because I beat her in Checkers. I also had lots of friends from Counter-Strike clans that I kept in touch with for years. I was going to take a Greyhound bus to one of their houses for a week long LAN party but my mother was not as eager as I was about that trip. What's the most important thing you've learned from the internet? The best opportunity you've gotten from it? Be careful what you do and say. The internet is forever. Which I like because it has, to a degree, shaped how I interact with people. The best opportunity would be my job and my digital friends. I get to make videos on YouTube and I get to work at Google, as well. Neither of those platforms would exist without the internet. Thank you, series of tubes. No and no. I'd spend most of my free time online: playing games, chatting on AIM, making websites, working on Half-Life 2 MODs. It was amazing and I got to interact with more people from more places than I ever would have in real life. If I spent less time on the internet now, I'd have to find a different job.